Very Exciting News from Mayor Bloomberg! Mayor Michael R. Bloomberg, Deputy Mayor for Economic Development Robert K. Steel and Department of Housing Preservation and Development Commissioner Mathew M. Wambua announced today that the winner of the adAPT NYC Competition is a development team composed of Monadnock Development LLC, Actors Fund Housing Development Corporation, and nARCHITECTS. The development team was chosen through a competitive Request for Proposals to design, construct and operate the city’s first micro-unit apartment building on a City-owned site at 335 East 27th Street in Manhattan. The development team’s ‘My Micro NY’ project will create 55 new micro-units, 40 percent of which will be affordable beyond the competitive market rents, that are designed to optimize space and maximize the sense of openness. ‘My Micro NY’ will be the first multi-unit building in Manhattan developed using modular construction, with the modules prefabricated locally by Capsys at the Brooklyn Navy Yard. The Mayor made the announcement at the Museum of the City of New York and was joined by Monadnock Development president Nicholas Lembo, Actors Fund Housing Development Corporation president Scott Weiner and nARCHITECTS principal Eric Bunge. adAPT NYC is a pilot program that was launched in July 2012 through a Request for Proposals to develop a new model of housing – micro-units. The proposals were evaluated on several criteria, including innovative micro-unit layout and building design. The ‘My Micro NY’ proposal excelled in this category, with features like generous 9’-10” floor-to-ceiling heights and Juliette balconies that provide substantial access to light and air. 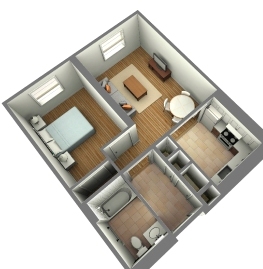 The micro-units developed as part of this pilot will measure between 250 and 370 square feet. Designed by nARCHITECTS, ‘My Micro NY’ is an elegant building distinguished by the creative use of setbacks and subtle changes in the color of the brick cladding. A multi-purpose and transparently-glazed space on the ground floor will be programed for rehearsals, performances, lectures and other creative activities, in addition to a café. Inside, the efficient apartment design includes ample storage, such as a 16’-long overhead loft space and a full-depth closet. Compact kitchens contain a full-height pull-out pantry, a full-height fridge, range, and space for a convection microwave. The property will include amenities that invite resident interaction, such as an attic garden, a ground-floor porch with picnic tables, den areas, and a multi-purpose lounge. Programmed interior space comprises 18 percent of the building’s gross square footage. 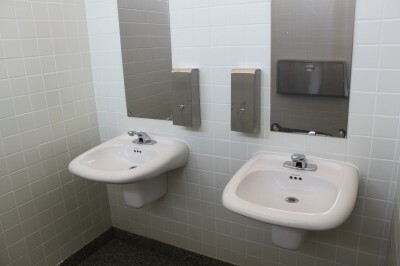 The building will also have a laundry room, residential storage, a bike room, and fitness space. While the variation in unit sizes and configuration is efficiently limited, minor shifts in the building’s volume, and changes in orientation of units, and location and type of windows generate spatial diversity. Each unit is comprised of two distinct zones: a ‘toolbox’ containing a kitchen, bathroom and storage and a ‘canvas’ providing ample, well-proportioned flexible space allowing for individual expression, and serving as the primary living and sleeping area. ‘My Micro NY’ unites a spectrum of scales ranging from efficiently designed kitchens to the organization of the apartments and common space, all in a simple yet iconic building. The property will include common spaces with amenities which also emphasize a creative use of space, including a rooftop garden, shared lounge areas on nearly every floor to invite resident interaction, and an 8th floor deck for socializing or group fitness activities that has an additional multi-purpose lounge that can seat twenty for dinner or up to forty for a standing room event. 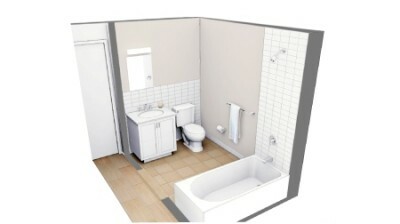 The ‘My Micro NY’ building will also have a laundry room, a storage room, a bike room, and a fitness room. Highly-skilled workers will prefabricate the building modules at Capsys’s indoor facility in the Brooklyn Navy Yard. 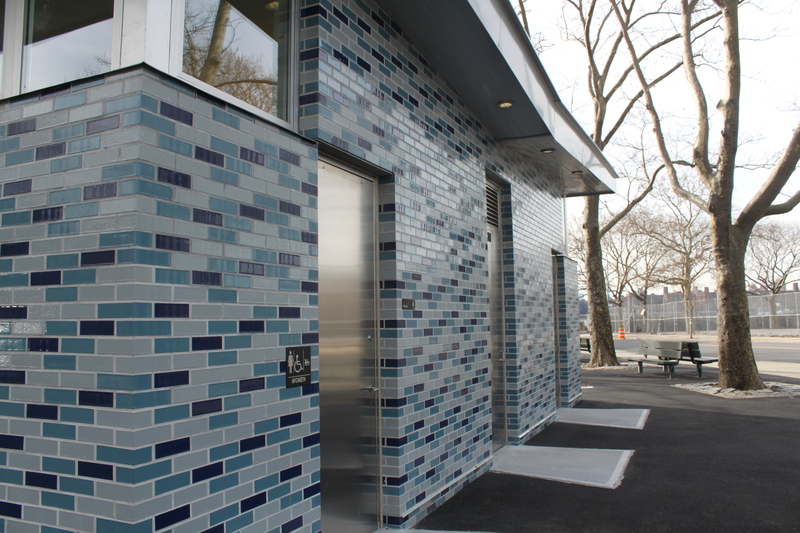 Capsys is the first NYC-approved manufacturer of prefabricated modules. After site work, foundations, utilities, and the construction of the ground floor is completed using traditional methods, the modules would arrive on the site with fixtures and finishes already installed. The modules would be hoisted into place in approximately two weeks and the brick facades would be built on the development site. Residents are expected to move in by September 2015. “We are proud to be a member of the development team selected by the Department of Housing Preservation and Development to be at the vanguard of implementing Mayor Bloomberg’s vision to provide a new and innovative option for attractive affordable housing that responds to the changing demographics and preferences of New York City’s residents,” said Scott Weiner, President of the Actors Fund Housing Development Corporation. “We’re thrilled at the chance of designing a housing prototype that will give New Yorkers in small spaces a sense of living in a larger social fabric” said Eric Bunge, Principal of nARCHITECTS. The ‘My Micro NY’ building will provide housing to one- and two-person households across a variety of incomes. Twenty percent of the apartments (eleven units) will be reserved for households with incomes not exceeding 80 percent of the Area Median Income (AMI); nine percent (5 units) will be reserved for households with incomes not exceeding 145 percent of AMI; and eleven percent (6 units) will be reserved for households with incomes not exceeding 155 percent of AMI. The remainder of the units will be market rate, along with one superintendent’s unit. 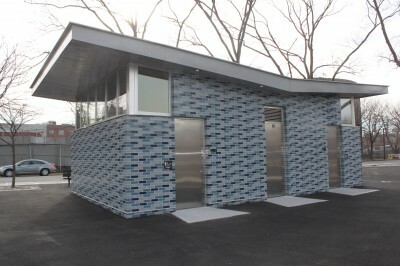 The development team was able to achieve affordability in the micro-units for low- and middle-income households without utilizing any direct City subsidy or financing, in part through its use of the modular design, which can significantly reduce a project schedule, resulting in savings on financing and conventional construction costs. The winning proposal and four other notable proposals will be featured in an upcoming exhibit at the Museum of the City of New York called Making Room: New Models for Housing New Yorkers. The exhibit, which is co-presented by the Museum and the Citizens Housing & Planning Council, features creative ideas for how to accommodate the changing demographics of New York City’s population. The adAPT NYC Competition was created to introduce additional choices within New York City’s housing market to accommodate the city’s growing population of one- and two-person households. Currently New York City has 1.8 million one- and two-person households, but only one million studios and one-bedrooms. The City’s housing codes have not kept up with its changing population, and currently do not allow an entire building of micro-units. Under this pilot program, Mayor Bloomberg will waive certain zoning regulations at a City-owned site at 335 East 27th Street to test the market for this new housing model. The adAPT NYC RFP was downloaded more than 1,600 times in hundreds of cities domestically and abroad, and generated 33 proposals by the submission deadline – making this the largest response received by HPD for a housing project. It is expected that the project will complete the Uniform Land Use Review Procedure for disposition of City-owned land in the fall and break ground on construction at the end of 2013. The adAPT NYC initiative is part of Mayor Michael R. Bloomberg’s New Housing Marketplace Plan. The New Housing Marketplace Plan is a multi-billion dollar initiative to finance 165,000 units of affordable housing for half a million New Yorkers by the close of Fiscal Year 2014. To date, every dollar invested by the City, the Plan has leveraged $3.42 in private funding for a total commitment of more than $20 billion to fund the creation or preservation of over 140,920 units of affordable housing across the five boroughs. Two years ago, Bruce Ratner sought to ease a shrinking budget and appease swarms of critics who lambasted the original rendering for a residential tower at Atlantic Yards in Brooklyn as a “Lego-like” atrocity. Like a frustrated schoolboy, he punted the plans to erect a set of oddly arranged giant blocks, shoving designer Frank Gehry aside and bringing in a team of modular consultants who—ironically, given the reputation of modular buildings—transformed the blueprint into a much sleeker 32-story structure. The success of the B2 building, set to become the tallest modular building in the world, will serve as a catalyst for the growth of modular construction among high-rise and commercial buildings, a market that has exploded elsewhere in the world and that modular builders in the United States have hoped to tap into for years. 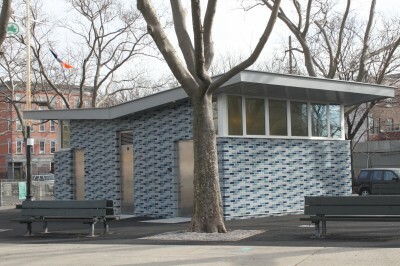 The project also highlights the growth of modular design across property types throughout New York City, as real estate companies look to trim costs and save time by incorporating modular methods into commercial buildings, using prefabricated façades, paneling, doors, roofing and computerized interfaces. The 32-story, 363-apartment B2, which will almost rub up against the new Barclays Center, is one of 15 modular towers said to be coming to the site. Like other modular buildings, much of it is being manufactured in a factory setting, and it will eventually be hauled nearly two miles from the Brooklyn Navy Yard and snapped together on-site. It’s unlikely that 32-story modular buildings will begin popping up across the city anytime soon, but Mr. Ratner’s decision shines a spotlight on a building method that has existed for decades. Proponents of the method have treated modular design as gospel for years, and real estate industry professionals (even those not directly involved in modular building) agree that the cost and time savings afforded in smaller-scale projects translates into larger, taller buildings. Modular buildings consist of multiple sections, or modules, that are built in a remote facility and then delivered to a construction site and assembled. Because components are created in a factory setting, the method can save time, money and reduce water and energy consumption. Modular builders procure less-expensive materials from a range of global distributors. While the controlled assembly line-like environment offers factory workers a steady 9 to 5, they are generally paid much less than their on-site counterparts. On-site carpenters earn as much as $50 more in wages and benefits, some experts said. Consultants on the B2 project have said modular design will shave 10 months off of the 28-month construction schedule, and others said a fully modular design could cut the schedule by as much as 50 percent. “Whether that means hospital are getting patients into beds sooner, or landlords getting tenants faster, that makes a big difference,” Ms. Marks said. The B2 isn’t the first building to thrust modular design into the public eye. In 2009, a 24-story, $34 million high-rise dormitory was completed in Wolverhampton, England, in less than 12 months, becoming the tallest modular building in Europe. And several years ago, China set off a firestorm in the industry when it started building modular hotels and completing the projects in a matter of days. The 902 modules used in the Wolverhampton tower and adjacent low-rise units were constructed in Cork, Ireland, before being transported to the construction site, culminating in 657 student bedrooms and 157 postgraduate apartments. The construction would have taken twice as long using conventional on-site methods, its developers said at the time. The new 69,000-square-foot mid-rise Lehman College Science Building, designed by Perkins + Will, is another modular building drawing attention locally; it is expected to become the first LEED-certified building in the City University of New York system. The 13,000-square-foot Lehman College Child Care Center, designed by Garrison Architects and completed last year, is also modular. 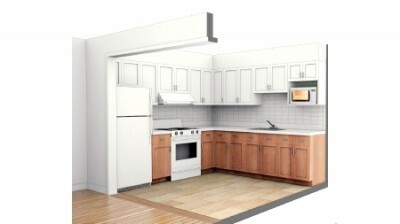 But prefabrication techniques are also being incorporated into conventional buildings throughout New York City, even if the buildings’ structure itself isn’t modular, with builders using factories with lower costs to prefabricate kitchens, bathrooms, paneling and the like. Others are being built as hybrids between modular and conventional buildings. For example, the Cambria Suites Hotel, being built by Capsys Corporation in White Plains, N.Y., will stack five modular hotel suites atop three site-built floors. Last summer, the firm also built the MacDougal Street Apartments, a six-story, 65-unit supportive housing facility at 330 MacDougal Street in Brooklyn—which took a total of 12 days to complete. The firm’s factory employs about 70 workers year round, five days a week. While modular building dates back at least a century, it gained national attention as troops returned home after World War II, when it became the preferred building method for housing in rural and suburban settings across the United States. The 1960s and 1970s gave rise to more complicated designs as consumer demands became more sophisticated, and in the 1980s, even more intricate modular homes began to take shape across the Northeast, in New Jersey, Pennsylvania and, to a lesser degree, New York. “The New Jersey suburbs are full of beautiful, custom-designed houses that were executed in modular factories,” Mr. O’Hara said. Slowly, modular seeped into the commercial industry, becoming popular for building low- to mid-rise structures—affordable housing, hospitals and other medical facilities, schools and office complexes—with companies like Capsys, Deluxe Building Systems and NRB among those paving the way in the Northeast. But it was buildings like the one in Wolverhampton and those in China that highlighted the dreams of modular hopefuls and captured real estate’s collective psyche, slowly convincing developers like Mr. Ratner that modular is viable for high-rise buildings. Mr. Ratner admitted that a YouTube video of the 15-story Ark Hotel being erected in China in two days (the building was ultimately completed in six) was the last straw. “That was the icing on the cake,” Mr. Ratner told The New York Observer in December 2012. In December 2011, Broad Sustainable Building Corporation, the same company that built the Ark, completed the 183,000-square-foot, 30-story Tower Hotel just outside Yueyang in China’s Hunan Province in 15 days. It was reportedly built to withstand a magnitude-9.0 earthquake. Given the space constraints in a city as densely packed as New York City, transporting modular buildings to certain parts of the city is simply impossible—and adding modular components into a renovation project can be a insurmountable challenge as well (imagine trying to haul four stories of a Midtown high-rise through the Holland Tunnel, or hoisting fully constructed kitchens into an existing office building). But most agree that incorporating at least certain elements of modular design is beneficial, with firms across the city opening up to the idea. Mr. Spector believes warehouse and suburban office environments are ideal for modular building. It also has its place in larger commercial buildings, in terms of sophisticated video teleconferencing or “telepresence” units, and for certain specialty conference rooms that incorporate glass partitioning not built on-site. But Mr. Spector remains skeptical about its use in commercial high-rise buildings. The “menu” of options a modular builder can provide often do not fulfill the requirements of owners—or the creative aspirations of conventional architects, he said. It’s something like being limited to the dollar menu at McDonald’s—it’s definitely cheaper, but it’s not surf and turf. Some union workers fear that the rise of modular skyscrapers could mean fewer hours as they’re replaced by factory workers. Forest City Ratner worked closely with New York City building trade unions to address those concerns, striking an agreement that B2’s fabrication facility will employ 125 union workers earning $55,000 per year (about 25 percent below the average construction wage). The B2 agreement reflects an “innovative approach to development that will allow us to realize the vision of the Atlantic Yards project and create traditional construction jobs that may otherwise have been at risk,” said Gary LaBarbera, president of the Building and Construction Trades Council of Greater New York, when the deal was announced. Mr. O’Hara, the director of business development at Capsys Corporation, agreed. Our prayers go out to those who have been affected by our recent hurricane Sandy disaster. As people look toward rebuilding efforts, many folks have called us here at Capsys. Modular construction is obviously stronger and inherently more “floor resistant” to use a FEMA phrase simply due to the suite of materials we use and to the strength we build into our modules due to our transport requirements. However, more than just the materials to be used in the new structure need to be considered. The supporting foundation system should also be modified when building in flood-prone areas. We decided to post two documents here about both design considerations and about substructure considerations. The first is a FEMA document published in 2008 entitled “FEMA Flood Resistant Materials” which discussed various options you might consider including in your reconstruction efforts. The second is a reprint from “Structure Magazine” called FEMA 550 and is an article that attempts to interpret a very technical FEMA structural engineering document so we non-engineers can understand it. Please continue to call us with any questions you have and we will continue to try to assist our neighbors who received damage from Sandy. 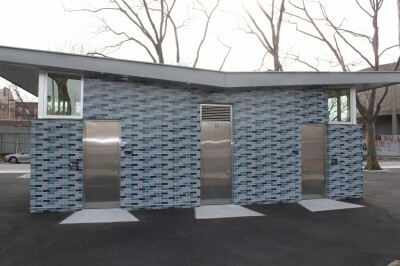 Greenpoint Comfort Station in Brooklyn is Now Open to the Public. Check out the latest photos taken on January 2, 2013.
for a wonderful and a very Happy New Year! Luxury living can be achieved for all buildings with modular construcution! Hurricane Sandy has brought misery to many folks in the NY, NJ area. Many of us at Capsys had damage to our homes though thankfully our facilities were spared any significant damages. As people begin to think about rebuilding, we think they should keep in mind the advantages modular construction can bring to the rebuilding process. Many of these advantages are spoken to in the following article by Sheri Koones. Sheri is the author of six books on home construction, four of them on prefabricated construction. She has won two Robert Bruss Gold Book awards by the National Association of Real Estate Editors. Her latest book, Prefabulous + Almost Off the Grid: Your Path to Building an Energy-Independent Home, was released in October. Modular construction may soon catch on in the city, but a Brooklyn factory has been building homes, floor to ceiling, for 16 years. NY1’s Monica Brown filed the following report. Modular construction can have a house almost entirely built in a factory. The pieces are brought on trucks to their final destination, and the finishing touches can be done on-site. This method could mean big cost savings for the Big Apple, where experts say construction costs are skyrocketing. In Fort Greene, Brooklyn, Capsys Corp. has been building modular homes for 16 years in the Brooklyn Navy Yard. Its affordable housing units, assisted living facilities, hotels and more other buildings are dropped off at sites in all five boroughs and beyond. Company officials say the average savings can be 5 to 20 percent with modular construction, and that business has been picking up a lot in the last several years. “Some of that is because we’re coming out of the recession and we’re seeing more activity, but a lot of is it really is just catching on. We like to say that we’re the oldest brand-new idea in construction,” says Tom O’Hara, the director of marketing at Capsys. Forest City Ratner Corporation might also be trying to change minds. It announced last year that it may look to build the world’s largest modular tower at Atlantic Yards in Brooklyn. The company declined to be interviewed for this story. But New York Building Congress officials tell NY1 that project, and other modulars like it, might go a long way toward helping to keep New York’s building industry competitive. “Innovation in the construction industry is always important because we’re the highest cost construction market in the country, and we are encouraging our members to look for ways to economize, to look to do things differently, and in a better way,” says Anderson. Ashburton Ave. Project Receives LEED Gold Status! 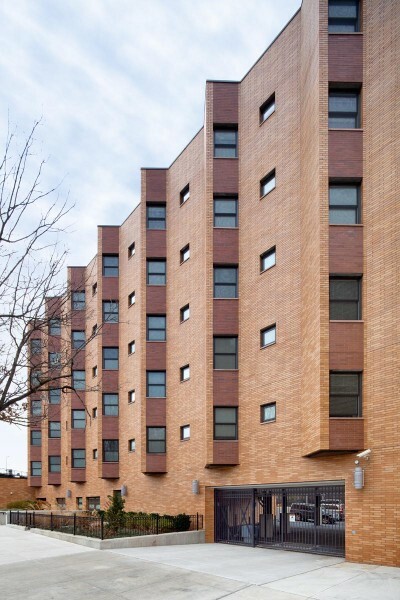 Yonkers, NY H2M architects + engineers designed a multi-story, multifamily property for The Richmond Group Development Corp. at 110 Ashburton Ave. The undeveloped site has now become a building with 49 residential units. The U.S. Green Building Council (USGBC) completed its final review of the building confirming the building has LEED Gold status for its design, development and construction. The building actually has two new labels: LEED Gold Certified and Energy Star. A traditional design would include insulation on the interior structure of the building only and not both the inside and outside. What makes this design green and sustainable is the design of various levels of insulation in the building envelope-both the wrap and the building cavity where insulated to control air infiltration and heat loss and to continue the air barrier across both the inside to the outside. The windows are equipped with high-efficiency glazing that controls heat loss and gain. The design called for a white roofing system with high solar reflectance properties and high-efficiency mechanical systems and finishes with high levels of recycled content. H2M was the architect and mechanical, electrical and plumbing engineer and the structural engineer on the project and partnered with Langan Engineering and Environmental Services, Forum, and Capsys Corp. Monadnock Construction was the general contractor on the project and Stephen Winter Associates was the green building consultant. We are happy to announce our new website specifically focused on Modular Supportive Housing!